ok i want to sell my civic come spring and im starting to save money now to add on top of it so i can get a nicer ride. i want to stay within the 4-5000 dollar range. 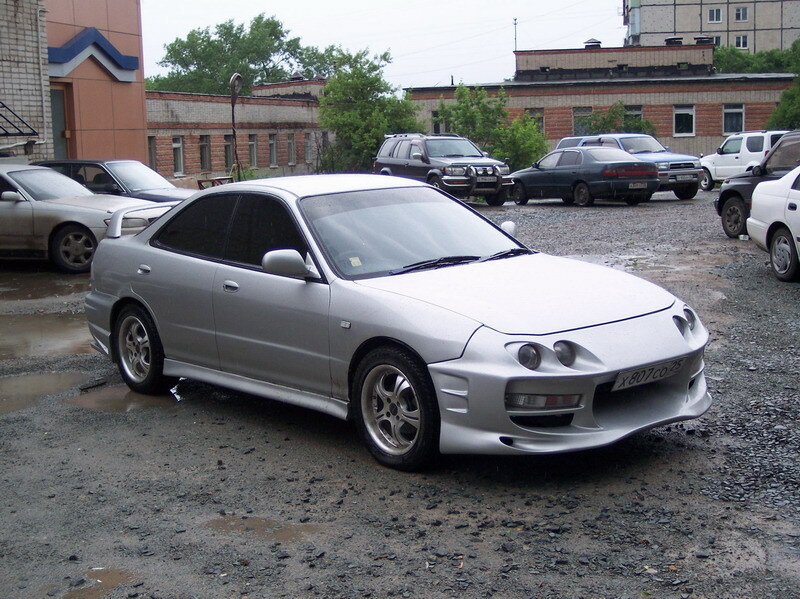 i was thinking an integra 2door, or just stick with the ek hatch but get a 99-00 one. whatever i get this time will be a 5speed. any opinions on what i should look for? your gonna sell your civic to upgrade 2 years? doesn't seem very smart to me, but it's your choice. which one is better is a matter of what you want. the integra will have a higher stock horsepower no matter which motor it has. the only motor that ever came in the 99-00 ek hatch was the d16y7 w/ a whopping 107 hp. on the other side of things I think that the ek hatch looks 3836585939212804 times better than integras. also keep in mind that no hatches ever came with power windows, locks, steering, etc. that was one of the main reasons I sold my hatch and bought a ex coupe. so if you want any of that stuff, you will either be doing a ex electrical conversion, or getting the integra or a coupe. Get a 92-95 Si. Has the D16Z6 and power everything except the windows. Hatches are where it is at man. Seriously. I can understand you wanting a slightly newer car with a 5speed. Automatic simply blows in hondas and other import cars. great for tolls in hectic traffic... or when you're driving alone and suddenly decide you want all of the windows down or up. Last edited by trustdestruction; 10-04-2009 at 09:14 PM. then i guess i'm lazy, but i will never buy another dd that doesn't have power stuff. i like my lazy button. my hatch is basicly stock except for a few minor bolt ons and it came stock with power steering... 97 civic hatch cx..
but on the other hand, who wouldnt want to rock this? No way in hell would you ever see me driving that teggy, even if it was given to me.